At Tanium, our Directors of Technical Account Management (DTAMs) serve as the linchpin of every customer engagement. Working closely with our customers to demo, deploy, operationalize, and extend the Tanium platform, our DTAMs thrive on solving problems and building new technology. 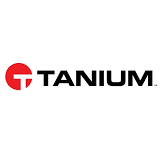 As a DTAM, you will be faced with an endless series of hard problems to tackle as our customers revolutionize enterprise operations and security with Tanium. Because the DTAM position encompasses a wide range of responsibilities and opportunities, we seek exceptionally versatile candidates with demonstrable acumen in each of the below areas. ?We pride ourselves on being unstoppable in the pursuit of our mission. We are diverse problem solvers driven to do the right thing and win as a team.